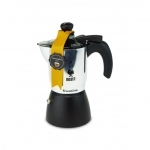 Exclusive patent product with special patented system in the upper part. 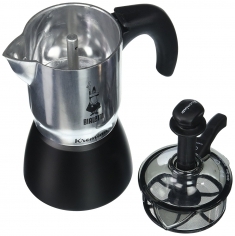 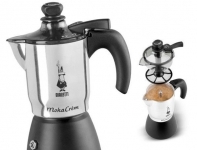 the only stove-top coffee maker that brews espresso with a soft, “cream-like” froth. 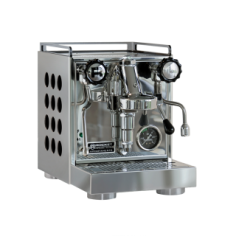 The see-through lid allows you to check the consistency of the froth and the special patented double-height funnel guarantees the right amount of water for each use.